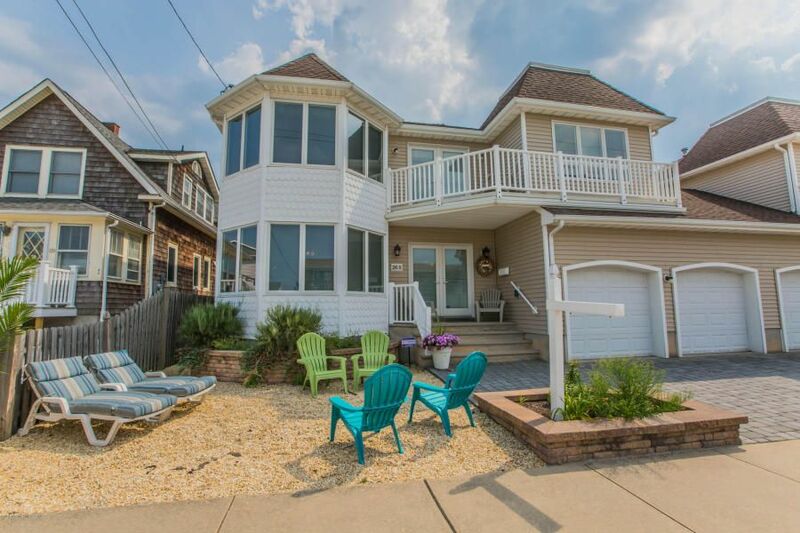 Lavallette - Immaculate Beach Block Townhouse w/ desirable open floor plan. 4 bedrooms. Master suite w/ water views, master bath w/ jetted tub & separate shower, plus 3 generous sized bedrooms & 3 baths. Spacious Living room w/ gas fireplace. Quality cabinetry, appliances & finishes in the chef's kitchen w/ center island. Large covered deck. Situated on one of the most sought after streets in Northern Lavallette. Just take few steps to a glorious beach & boardwalk. Today’s busy lifestyle leaves no time to spend renovating or building new. This home is truly Turn-key. Meticulously cared for by original owner, never rented. Just unpack & start creating summer memories on your own private paradise. Connected to other unit only by partial garage wall. Maintenance free exterior, low taxes.